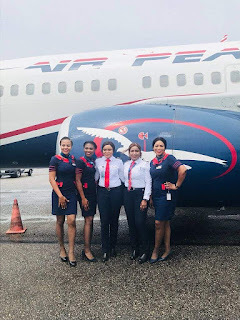 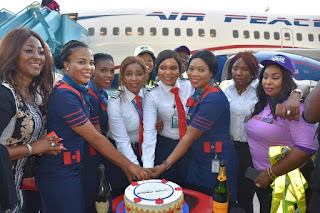 Air Peace has joined the league of airines that flies an all-female crew . 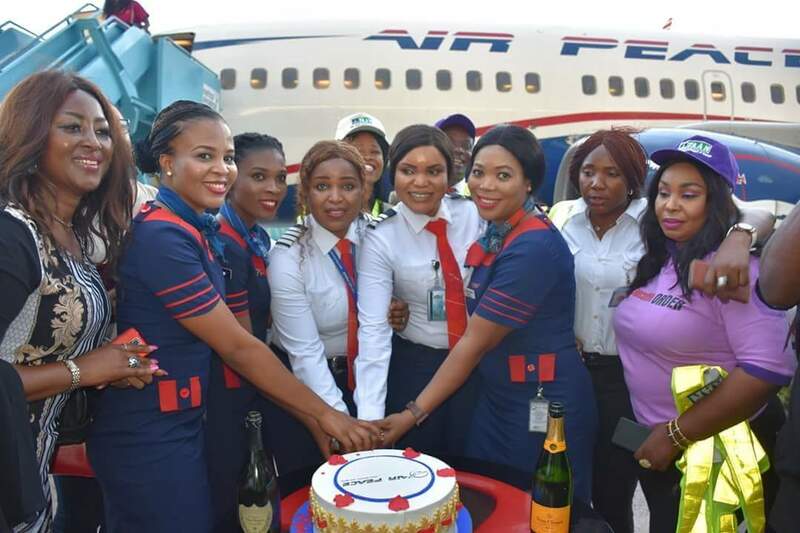 The feat was performed by Capt Sinmisola Ajibola (4th left), SFO Quincy Owen (4th right), SEP Instructor Rosemary Uagbor (3rd right), Cabin Executive Chidimma Chimezie (2nd left) & Cabin Executive Opakirite George (3rd left) . The crew has flown to Abuja,Lagos and Owerri.